One of the most famous Tempesti articles across the world. 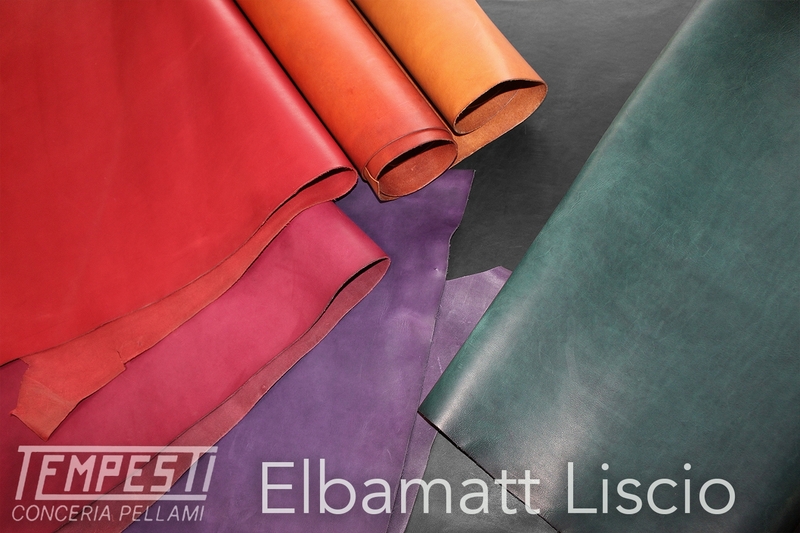 Elbamatt Liscio is a vegetable tanned, oiled, aniline leather produced on half butts with no finish and a very light pull up breeding fantastic cutting. Looking for a colour shade we are not currently stocking? Contact us, as we may be able to add this to our existing shades. We are often adding additional shades for our clients.